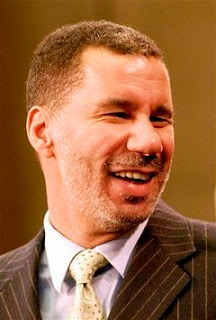 New York governor David Paterson announced this week that he will not be seeking the office again after this term. For me this is very disappointing news. Governor Paterson has been a fierce advocate for the LGBT community. Although other politicians in his state and many of his constituents tried to get the governor to abandon the gay and lesbian cause, he was unwavered. He repeatedly demanded that same gender loving couples be allowed the right to marry in New York (although unfortunately the New York Legislature let him down by voting down the bill that would allow this). But I have to applaud his efforts for being a voice for our behalf. According to the Advocate, this decision was made following a "mortal political blow this week." It was reported that one of the top aides in Paterson's office may have been involved in a domestic violence incident. There are many unanswered questions but there are accusations that Paterson and state police may have tried to sway the woman that was the victim to drop the case against the aide. I personally don't believe these accusations. I do believe he may have decided to not to seek reelection following a drop in popularity in the polls and the forecast that a victory in the next election would be very difficult for him. That I believe. Paterson is a very straight forward man who says whats on his mind. Remember this is the man that upon taking office immediately announced he has cheated on his wife and she has been unfaithful to him. He lays everything out on the table and I admire him for that. But whatever his reasons are they don't matter, we are still losing a powerful ally when we lose Governor Patterson.